Ever since she first hit TV screens in 2004, Peppa Pig's popularity among the under fives has been something akin to that of Taylor Swift or Justin Bieber for the, errh, more mature population. As any parent knows, the young ones go wild for this anthropomorphic pig and her mammal mates (Rebecca Rabbit, Suzy Sheep etc). After a two year hiatus she had a comeback in February with a fourth series and now her live show, Peppa Pig's Surprise, is on over Christmas at The Duke of York Theatre before a national tour in 2016. She's even cracked America. The producers have done an amazing job at recreating the magic of the TV show. A bright, colourful cardboard cut out set, jaunty music and talented puppeteers are all present and correct as is simple, age appropriate storytelling and slick, fast-paced action. The onstage voice of Peppa is also impressively similar to the original cartoon. The energetic cast and crew churn out an effortlessly fun production which makes their job of entertaining several hundred excitable pre-schoolers for almost two hours look easy. Like all superstars, what separates Peppa from the pack is that extra special somein somein that is hard to identify. When it comes to toddlers, the x factor is clearly routed in the fact that they can relate to their heroine. Peppa, her brother, mum and dad act exactly like your average English family and nothing much happens to them apart from the usual routine of family life — including the surprise, a trip to the seaside. Its simplicity, however, is the joy of a story which makes children feel comfortable and introduces them to characters they can see as friends. Important life lessons like brushing teeth and eating healthily are incorporated into the story as well. Highlights include the wonderful character of Daddy Pig, who adults will love just as much as the kids for his bumbling humour and slight vulnerability when the family car breaks down. Activities also include magical moments with giant bubbles and a beautiful sequence introducing children to the different types of creatures they might find in a rock pool. For kids going at Christmas there is a visit from another special guest as well... Ho Ho Ho. 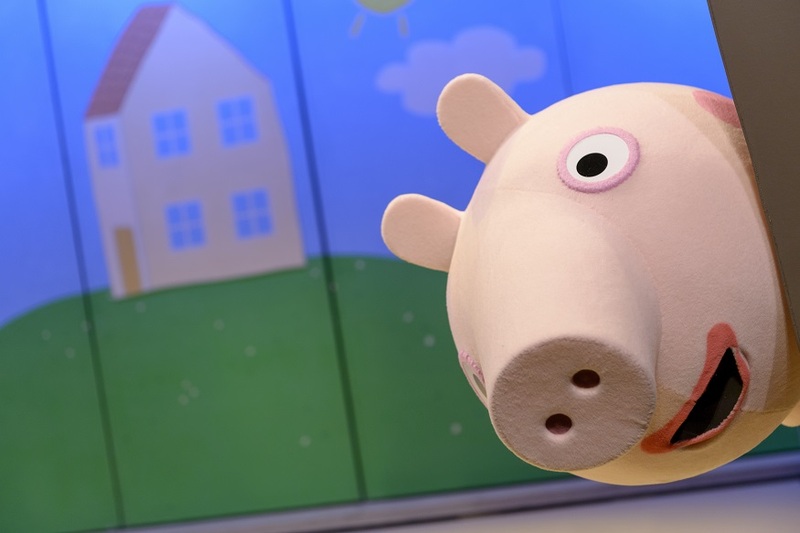 Peppa Pig's Surprise runs at Duke of York's Theatre, St Martin's Lane WC2N 4BG, until 17 January, Tickets £13.50-£25. Londonist saw this show on a complimentary ticket.